As you age, you will experience a decline in keeping your balance. In fact, in a year, there are about 1 in 3 seniors who experience fall accidents. This leads to minor injuries and to a serious extent of severe fractures, head injuries, and life-threatening problems. Imagine losing your footing as you step in the bathroom, and you’ll surely experience a throbbing as hard as sending your heart out of your ribcage. This is how frightening losing balance is, and this is the common experience seniors have to face. Standing weight shifts. Assist your loved ones in this position by letting them stand against a wall. See to it that the points of contacts are established in such a way as the posterior portion of their body is in direct contact with the wall. For instance, the back of head, shoulders, derriere, and heels are against the wall. Allow them to lean slightly forward while keeping the feet firmly planted on the ground, and then let them lean slightly back. Do the same from side to side. Marching in place. This is a perfect exercise for seniors because it is very easy to perform. Let them maintain the ideal posture and allow them to raise one knee and observe if they have made a 90-degree angle with their knee. While raising it, let them turn their head to both sides. Do the same thing on the opposite side. To increase the challenge while doing the exercise, assist your senior loved one in reaching their arms up while the opposite leg is raised. al posture. Let your senior loved one take one step forward while placing the heel of the opposite foot directly in front of the first foot. You can further elevate the difficulty level by letting your senior try it in a backward manner. Shuffling Exercise. Assist your senior loved one to initiate a side step and then let them close the gap by letting the other foot meet it at the side. Allow them to be attuned with the exercise by repeating it several times. To further add challenge to this, encourage them to switch in different directions. If you have any difficulties doing this at home, you can seek assistance from any professionals of Home Care in Louisiana. Allow your dear loved ones to constantly practice all these exercises with supervision, so they’ll always be safe as they perform the tasks. Day by day, assist them in increasing the difficulty level so that they can be confident in having more control of their body. 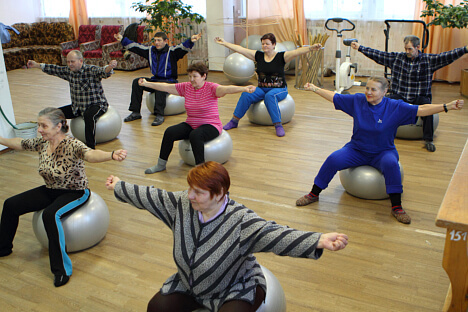 Surely, your loved ones will be at lesser risk of falls and other accidents because they are able to develop a good sense of balance through these exercises.